Back in February, we discussed “Green Initiatives” and what companies big and small can do to provide greater sustainability. Our focus on the topic developed through many discussions internally, with vendors, customers and strategic partners, spearheaded by mostly younger managers here. Sometimes those discussions became heated as “Traditionalists” battled the “Firebrands” for the “moral and practical” high ground. Now, with April being Earth Month, we felt it was time to revisit this topic to better explain how we do things on a personal level, and why. On a basic level, we realize that every choice we make will impact other businesses in some way. Take hand-washing, for example: In public facilities, we’re often given the choice of using paper towels or an electric hand dryer to dry off. Many people will head straight for the electric dryer in an effort to save paper, but many industrial leaders won’t. Aside from the argument for overall cleanliness (hand blowers spread thousands of germs during use), there’s also the argument for our customers. Paper companies buy our products for their production, warehousing and transportation requirements. We are a traditional supplier to traditional industries, and while the mold must be recast and re-designed from time to time as demands and perceptions change, the smashing of the mold altogether all at once will severely impact our business and our industry. However, this isn’t to say that we’re against change altogether. As the next generation begins to take over the shop floor, we as leaders need to provide some support and guidance to keep things running and attract new talent. Shutting down new ideas doesn’t encourage growth, so it’s all about finding a balance between sustainable environmental practices and building a sustainable business model. As such, Liftomatic is proud to announce to our customers, present and future- that we’ve adopted several new protocols to decrease our footprint, while emphasizing cost control for our customers and stability for our organization. Beginning in the second quarter of 2016, we’re including all new QR code labels on every Liftomatic product. Doing so will allow a tremendous reduction in paper between us and our customers; it will allow you to access needed information, technical specs, bulletins and parts and maintenance requirements directly from our website using any hand held mobile device. Further, we’ve contracted for state-of-the-art LED lighting throughout our production facility here in Illinois. It’s a significant investment, but the appropriate managers proved their case with ROI and the spirit of the initiative and we’ve agreed to proceed. We’re also looking at changes in packaging, communications and production, and we’ll continue to provide updates as they come. As we near our 70th anniversary, Liftomatic will continue to work diligently to challenge convention, ask the un-asked questions and look at all of the angles to continue bringing the highest quality, most durable, and safest drum handling devices that are available anywhere in the world. We continue to keep that focus first and foremost. Workers in the trucking sector face a number of challenges on the road. From keeping track of their driving time, to finding areas to rest and eat, and then moving materials on and off the trucks at each stop. It’s a rewarding job, but one that requires a lot of planning and a lot of muscle. Fortunately, incorporating the right tools into your process can greatly improve your time on and off the road. One of the major issues associated with managing a large fleet is keeping track of all of the drivers and shipments. GPS truck tracking systems make things easier by allowing companies to monitor everything from truck speed, idling time, breaks during the day, etc. It also improves customer service since customers can be made aware of where their shipments are and when they can be expected to arrive. Truck drivers don’t have a lot of options when it comes to eating and sleeping during a long trip. They depend heavily on rest stops along the way, which can be few and far between. App developers have caught on to the need for this information, and have designed a few apps available for download that help drivers find the nearest rest stops from wherever they are. A number of options are available for download, such as Rest Stops Plus. “Team-driving,” often involving husband and wife teams- has become popular today too! A trucker’s job doesn’t end once he or she gets to a destination. Loading and unloading materials is the next step. 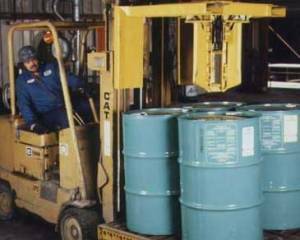 Since many products are shipped in 55-gallon drums, it’s important for fleet managers to provide workers with the proper drum handling equipment. 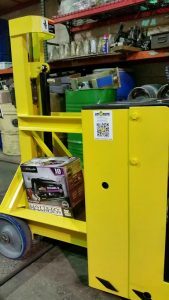 A regular forklift doesn’t have the right attachments to secure drums, so providing hand truck drum handlers, which are portable and can carry up to 1,000lbs, offer an added layer of safety and utility. Of course, transportation and shipping companies have many more challenges to contend with than those mentioned above. For companies that provide global freight service, like Estes Express or FedEx, monitoring shipments through air and across oceans presents its own set of challenges. But thanks to modern technology, even these jobs are getting easier to manage. We’re always interested in the next innovations to come out of this sector, and are continuously adding to our own product lines of drum handling equipment to provide even more solutions. There’s a common misconception that the industrial sector is inherently dirty and wasteful. Many campaigns are in the works to dispel this myth among young people in the hopes they’ll be more apt to enter into manufacturing careers later in life. Here at Liftomatic, we’ve taken it upon ourselves to become more sustainable. Many of our employees are avid outdoorsmen, so it makes sense to follow green practices within the company to preserve more forest area outside. What’s good for the world, is good for us, too. To reduce our environmental footprint, we’ve begun to convert some of our manuals into electronic files to save paper. While at first glance this might not seem like a big deal, it becomes one when you realize just how much paper is saved. Every time a power unit is updated on one of our products, the user manual must be changed accordingly. These manuals are massive, and require a lot of paper and ink to print. By creating electronic files instead, we’re saving innumerable reams of paper that would end up in the waste stream once a newer modification came on the market. Now, we are able to use QR codes that direct to editable files to simplify the process. This is a big change for many of our customers, so we’ve begun a limited roll out on a few products, with plans to roll out the rest of our product line over the next year or so. Eventually, we expect everyone to become acclimated to the new process, and we look forward to reducing our environmental impact in this way. When you choose to invest in a piece of material handling equipment, chances are you want something that will last a long time. Just like purchasing a new car, you’ll want to learn as much as possible about each available option before you make a final selection. And just like maintaining a car, material handling equipment like drum handlers will require ongoing preventative maintenance and refurbishing to ensure optimal functioning and longevity. To stay on top of preventative maintenance, it’s recommended that plant managers incorporate best practices by regularly checking and updating product tags in-house to see which products are due for inspection. Training staff on how to perform inspections and preventative service is also necessary to ensure that proper procedures are being followed. 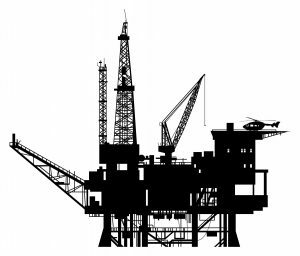 There are many small material handling operations that may not have the time or resources to perform regular inspections or maintenance, however. In these cases, it’s often worth looking into companies that can perform these services for them. At Liftomatic Material Handling, we not only manufacture and distribute drum handling products, we can also provide regular servicing for our customers. 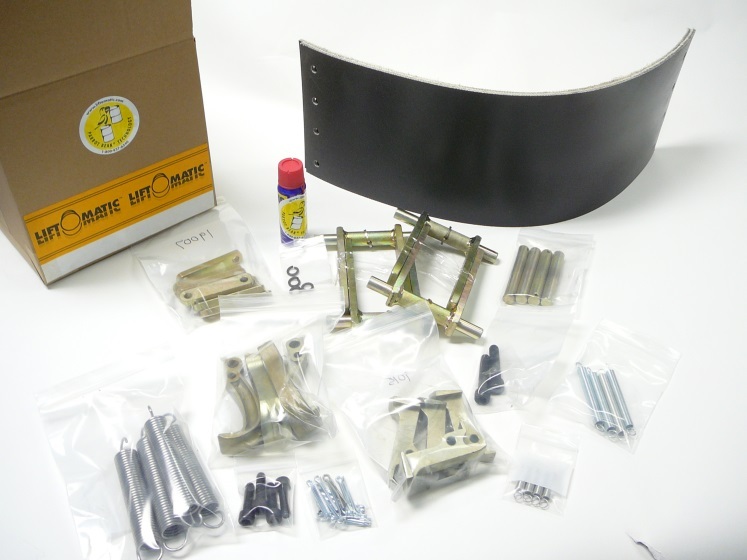 We offer preventative maintenance kits and component replacements to help keep drum handlers in top shape. We understand that over time, parts like springs, pins, and jaws will wear out from constant use. We are able to provide 24-hour parts turnaround to most industrial regions and we also have in-house technical support to help customers with repairs and troubleshooting. For more information about how we can serve your maintenance needs, call us at 800-837-6540 or visit www.liftomatic.com. We’re also available Twitter and LinkedIn. 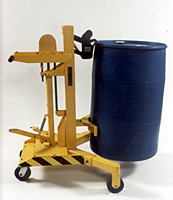 20 years ago, there was no effective “portable” handling solution designed specifically for difficult-to-transport industrial drums. Forklift attachments were typically the old stand-by, but their main design had pallets, large loads and truck loading in mind, not specific, precise placement of drums or barrels. Often stored in confined spaces with limited accessibility (especially in research facilities, laboratories and small pilot plant operations), the main way to relocate these cumbersome drums was once only by brute force. Injuries, inefficiencies and greater labor costs were all a result – until 1994 when Liftomatic Material Handling introduced the first multi-capable Ergo-Matic® Lifter. Incredibly safe and effective, the portable drum handler has proven its worth for many users across a broad spectrum of industries. Moving drums to and from skids, scales and spill or containment pallets are a few of the jobs this tool excels at. One of its secrets is the unique Parrot-Beak® Clamping mechanism that grabs any steel, fiber or plastic drum automatically in its lifting operation. Some newer features of this device include a cushioned belt-cradle that protects drum sidewalls during lifting, lowering and transport functions. Its ergonomic design, with foot pedal activated lifting and lowering with adjustable speed control, has greatly benefited workers across the country. We have also listened to our customers through the years to address other concerns and suggestions in the industry. As such, we’ve continued to add to the Ergo product line with a high-rise version, a spark resistant model for hazardous locations, and a power lift option that makes arduous tasks quite a bit easier. About 10 years ago, we further added to the Ergo material handling range with a modularized process allowing for a mix and match of components, a counter-balance version (the Ergo CB series) and a new power-drive system, (available with the Ergo PW PL), making this tool an unparalleled boon to industry. In the 20 years Ergo has been around, we’ve come up with about 25 different updates to meet the needs of our diverse customer base. Within the next year, we plan to release the next addition, which will allow manipulation of the drum or portable device. To learn more about our Ergomatic drum handling solutions, visit us online or feel free to call us at 800-837-6540. You can also follow us on Twitter and LinkedIn for the latest industry updates. How Will Proposed Green Seal Standards Impact Your Coating Manufacturing Business? At Liftomatic, we know our customers have to deal with a slew of regulations on a regular basis. From trucking, to environmental, to economic regulations, companies have to be aware of any changes that occur to make sure they’re still in compliance with regulations. So when organizations and governing bodies announce plans to change their standards, we carefully research the situation so that we’re in a position to help our customers who may be impacted. Changes are coming to the paint and coating supply chain. Green Seal is a not-for-profit organization that is dedicated to developing environmental standards for a wide variety of products and services. The Green Seal certification program is used by purchasers across the country, particularly the government and institutions. The standards look at a number of points in the life cycle of a product or service, particularly in their performance, use and disposal. They aim to reduce the environmental impact of certain products, particularly when it comes to odors or disposal needs. Evaluating VOCs (volatile organic compounds) for all compounds that are present above .01% in a product. Adding triclosan to the list of prohibited components. Clarifying Green Seal’s stance on crystalline silica. Developing an allowance for PCBTF at a limited concentration in metal lacquers. Green seal is open to comments from interested parties regarding these changes – they can be contacted up until May 31st regarding the potential changes and impact of these changes. The changes would require coating manufacturers to re-evaluate how they produce their coatings and what is used in their products. For some companies, the updates would be expensive and labor intensive, requiring reformulation to maintain their Green Seal ratings for paints and other coatings. However, some companies may find that the new regulations have no major effect on their product. And of course, companies can choose whether or not they continue to pursue a Green Seal rating, although letting it fall through to reduce costs could mean lost business opportunities. While the proposed regulations are unlikely to require new material handling updates, Liftomatic is prepared to evaluate them in order to provide our customers with equipment that is capable of working with whatever new formulations they may need. We will continue to stay up-to-date with the latest changes in regulations and laws, and make sure that we are providing our customers with the most capable material handling equipment and services on the market. Are the right dogs on your team? When it comes to business, knowing where to place key employees can mean the difference between a winning or losing team. For anyone not familiar with the Iditarod, it’s a race held annually in Alaska for mushers and their dog team which lasts a grueling 938 miles and takes place over 8-15 days. 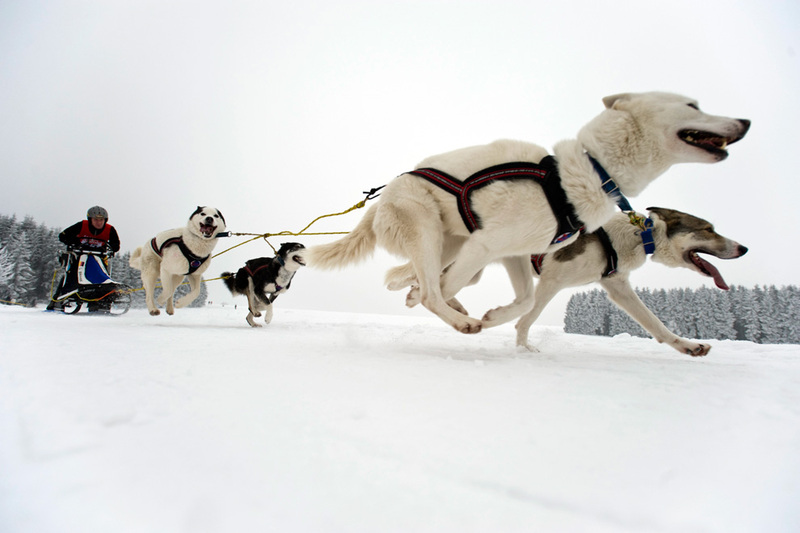 The mushers train their dogs throughout the year in an effort to organize a winning team, and they look for certain traits and physical abilities to match dogs up to different jobs on the team. The lead dog is always the fastest and most intelligent of the bunch, much like a person you’d want to have leading your company or organization. This employee might also be a visionary as well. Next come the swing dogs whose job it is to guide the team around curves and turns. In business, this person would be someone who is able to tackle the hard stuff or be good at figuring out how to adjust the process to better equip the company to deal with short term issues or problems. Behind the swing dogs are the typical worker bees; dogs in these positions are there to do the general work that doesn’t require any specific qualities or abilities, just a willingness to do as they are commanded and be good, solid workers. Finally, the wheel dogs are those nearest the sled. They are the strongest and largest of the team and are able to use their muscles to pull the weight of the sled, which can be well over 100 pounds. This person in a company is typically recognized as someone who’s in the office early, and often stays late to make sure that all deadlines are met. Mushers also have to be willing to adjust when conditions aren’t perfect, whether it be hazardous conditions or not enough snow. Being able to respond and adjust to unexpected changes can keep a company afloat during difficult times. For example, with oil prices being low, some sectors are declining. Liftomatic serves a wide variety of industries, so we are able to make up that cash loss in other sectors which are doing well. 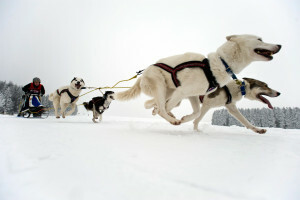 Flexibility is necessary when competing in the world of business, just like in the Iditarod. When hiring or streamlining a company, making use of your best prospects for various jobs will help to create a winning team. It can take time to figure out who works best in what position, but through trial and error, it can lead to a winning combination.